There is absolutely no reason to be ashamed of being overweight or unhappy with your physical well-being. In the high paced society we live in, it’s difficult to juggle a job, personal issues, and a social life, all while focusing on a strict diet and fitness routine. As a matter of fact, in 2013 over 150 million Americans were classified as either obese or overweight. But what if a healthy and happier you wasn’t as far out of reach as you thought? What if there were ways to make strides towards fitness goals without having to dedicate yourself to a strict diet and military workout regime? If you’re ready to take that next step towards a fitter you – keep reading. This isn’t some scam looking to sell a product or service by playing on your gullibility. It’s a comprehensive set of tips for you to follow in order to lose weight without a strict diet – curated from the success stories of people that were in your shoes not too long ago. Before we get into the seven commandments of losing weight fast, we have to stress this one rule. You might have heard it before but if you want to succeed always honor this equation: Faith+Patience=Results. Too many people get discouraged when trying to lose weight and abandon all hope. The Wright Brothers didn’t fly on their first try, Edison failed more than a 1,000 times before he made the light bulb, and Michael Jordan was rejected from his high school basketball team before becoming a renowned legend. There’s no telling how long it may take you to reach your goals, but with the right attitude your life can and WILL change. Preparation is key in weight loss if you want to see real success. Lawyers don’t walk into their bar exams without studying first. Contractors don’t build houses before making blueprints. Why should you try to lose weight without preparing? Studies show that you are more likely to fail if you don’t approach your goals with structure and knowledge. You might want to jump right in, but for now resist that urge. Knowledge is power. Figure out how your body works, read the details in successful weight loss stories and take your time to start this journey right. It might seem tedious to prepare but there is a ton of entertaining and valuable information on the web for you to absorb. You don’t need to do a strict regime of fasting to lose weight. That will cause more harm than good. Start by flushing your body with lots of alkaline liquids, like water with lemon juice or apple cider vinegar, green juices and lots of salad greens and sprouts. Eating a diet that is low in fat, high in fiber and full of healthful, natural foods is healthy for anyone, and by improving your nutrition you increase your health and well-being. You can find more useful information in my e-book The Detox Guide. This guide will teach you how to use detox to cleanse and energize your body naturally and safely. People have this common misconception of how to successfully diet and wonder why they never work. Many think that to diet you simply fill your cart with veggies and eat as little as possible. In the long term, most diets fail and leave you with nothing but unwanted weight and a heap of disappointment. If you’ve been eating a certain way your entire life, the worst thing you can do is completely switch up your dietary routine. It will confuse your body, make it hard to stay dedicated, and worst of all – you’ll probably be miserable. If you’re on a diet of junk-food, try to supplement a few meals a day for ones rich in healthy fatty acids and essential proteins. Your body will slowly wean off junk-food cravings and gravitate towards healthy choices, making it easier for you to say no to that greasy pizza. It was the first step Jon Gabriel took before shedding 200 lbs. You simply can’t argue with results like that. As simple as it sounds, a consistent and sufficient sleep schedule could provide you with the edge you need in weight loss. It can help you lose as much as 20 pounds in 2 weeks. WebMD website talks about how sleep affects your weight and mentions studies linking sleep deprivation to over-eating, food craving and snacking. It also mentions that lack of sleep causes an increase in the stress hormone cortisol, and this causes the body to conserve more energy, meaning retaining more body fat. Sleep deprivation also causes slower metabolism. Your body doesn’t respond well to insulin, causing your body trouble in processing fats from your bloodstream, so it ends up storing them as fat. There is no definitive amount of sleep, but most experts recommend between 7-8 hours per night. Sleep is the time that your body and mind repair themselves for the next day and essential to a healthy lifestyle. Depriving yourself from sufficient rest can also encourage a hormonal and metabolic imbalance that leads to carbohydrate cravings, which is the last thing you need when you’re trying to shed unwanted body fat. All this time you were trying so valiantly to lose weight, were you aware that your arch nemesis might have been liquid calories? We tend to overlook them since they seem so harmless, but juices, soda, and other bottled beverages can add a substantial amount of calories that pile on to your stomach. An American Journal of Clinical Nutrition study found that people who simply cut 100 calories (less than a single soda) had more substantial weight loss than ones that cut 100 calories from solid food. 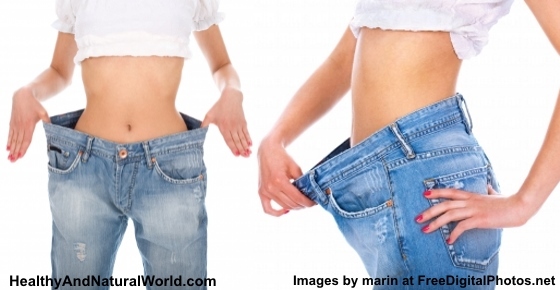 Reduce the size of your belly – also read my other post: Belly Fat Burning Foods – What To Eat To Get Rid of Belly Fat. If you have difficulty drinking plain water, try making flavored water with fresh fruits and mix it into your daily routine. Humans are more than 50% water, so it’s essential that you get as much as you can during the day for optimal health. When you chew your food thoroughly you’ll also eat more slowly and your brain will have more time to process that you’ve had enough to eat. Medical studies concluded that eating slowly can decrease food intake and increase fullness. A review of 23 medical studies concluded that people who eat fast are more likely to gain weight than slower eaters. To make it easier for you to eat more slowly, try to count how many times you chew each bite. I know you’ve probably heard it a thousand times – breakfast is the most important meal of the day (although research is still inconclusive about this issue). However it seems that skipping breakfast may slow your metabolism. This study found that eating breakfast could boost your metabolism and skipping it could slow it. A review of medical studies mentioned that some studies found significant associations between breakfast consumption and body weight. However other studies mentioned in the review had inclusive conclusion. Don’t skimp out on a quality breakfast. You might think that by avoiding food in the morning you will be cutting on calories and benefit. In reality, it will starve your body of the fuel you need after fasting for 8 hours and encourage hunger binges throughout the day. Try to combine an even balance of protein, healthy fats, and complex carbs in your first meal. Think technology is your downfall when it comes to successful weight loss? It might seem that way, but you can actually use it to your advantage! The My Fitness Pal smartphone app is a great way to stay on track with your progress and people like Barbara Delamarter used it to guide herself in dropping 53 lbs. You can even take your weight loss journey to the blogging community and immerse yourself in a world of people with encouraging and supportive input. After starting her blog, Jen West gained the motivation and support to drop 47lbs! There has been a lot of controversy surrounding the topic of meal timing. While there are no studies that can conclusively say that it speeds up your metabolism, doing it right can still help you with weight loss. Eating once every 2-3 hours is a great way for you to balance your daily calories. Just make sure that you keep your meals a reasonable size and your overall input sticks within your daily caloric limit (here’s a calorie calculator if you aren’t sure what yours is). By doing this, you’ll feel full and satisfied for the duration of the day and eating will be the last thing on your mind. With these rules in mind you’re ready to go out there and chase the new you! A happy and healthy life without the restrictions of a strict diet only need a bit of Faith+Patience! If you want to lose weight from your face, read my article: Simple & Effective Ways to Lose Weight from your Face. You can also find how to lose stubborn belly fat for good without counting calories in my ultimate e-book guide Blast Your Belly Fat. I really like this! Thank you for putting all this effort to share your knowledge up on us all 🙂 I really like to follow up to what you write and post more in the future & of course also supply to what you learn. Thank you so much for the most precious information that will definitely boost the confidence among the people with overweight or obesity problems..! To improve self esteem….very educational. Thank you for sharing your knowledge to us. More power to you! Thank u so much for boosting my confidence. your cotllection. please send more. Superb. I liked it so much. U solved my most problems. I will try my best to follow this. Thanks a lot. Nice article. One addition to your equation though: faith+patience+ACTION= results. So many times we forget that it takes some work to get results. I am kinda in yoyo in losing weight. I want to lose it permanently specially my belly fat. What I’ve read is very helpful and informative. Im a diabetes patient and 47 years old. How can u detox myself? Hi Radha, when talking about detox, it’s not just consuming healthy foods. There is much more to it. Have a look at my article about the 6 essentials for a successful detox program – https://www.healthyandnaturalworld.com/the-6-essentials-of-a-successful-detox-program/. As for foods for diabetes, please refer to my article about the best 12 foods to control diabetes – https://www.healthyandnaturalworld.com/6-best-foods-to-control-diabetes/. You can also find 10 simple ways to detox that you can incorporate in your daily routine here – https://www.healthyandnaturalworld.com/simple-ways-to-detox-every-day/. Any specific recommendations by your doctor take precedence of course. Your article was simple and to the point, however, I have to point out the fact that apple cider vinegar and lemon juice are not alkaline, they are acidic. Thanks for reiterating the point that we all need to be patient: we didn’t put this weight on in a day and it will not come off in a day, in a manner of speaking. Lemon juice and ACV are acidic but turn into our body to alkaline. Great article. I have one exception…that is the last one. Numerous studies are showing the philosophy of eating every 2/3 hours to be detrimental. Eating with that frequency does not allow insulin levels to drop and other other necessary hormones to fluctuate- leptin and ghrelin. Keeping insulin elevated causes inflammation and fat to remain. Me, too. if you have any ways to lose weight suitable for you. Pleased share it to me. Thks so much. Thanks so much. I think it is very helpful to everybody. It is not only for losing weight, but also having better health. Once again, thank you. Hi! Im the first timer, were we can buy the ACV. Thnks! Generally speaking, raw unfiltered unprocessed ACV can be bought in some supermarkets, health food stores or online (such as Amazon).